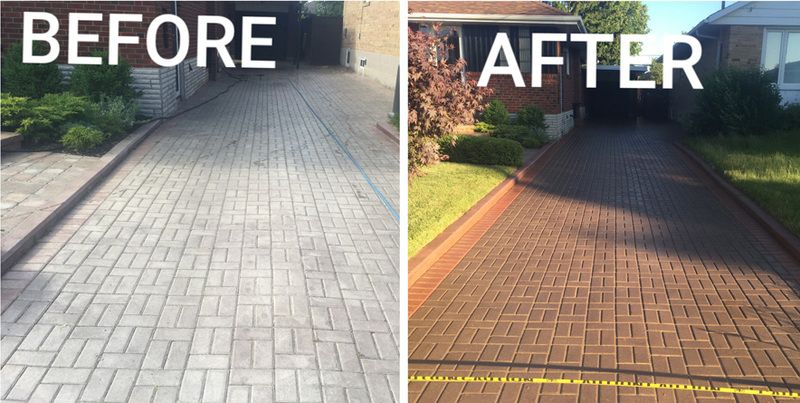 The Seal All Pavement specializes in cleaning and removing old sealers from driveways, patios, concrete and walkways by using hot pressure wash system that is both environmentally friendly and that will transform the look of your home to its former beauty. Our specialized equipment cleans to a very high standard to fully ensure your desired finish. Treat your interlock Driveway, Patio, concrete and walkway to a Makeover. We use water blasting 7000 psi. © 2016 Copyright by SealAllPavment All rights reserved.Designed by Impulsive Media Solutions.